After careful consideration the board of directors of Cielito Lindo Ranch had voted to shut down our Intentional Community. Our goal of sharing what we’ve learned about sustainability is still alive, though. 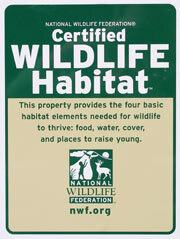 So please, come visit our ranch and learn how sustainable living is withing anyone’s reach. Are there children in residence? What do you do about schooling? We do not currently have children in residence. However, we have lots of local people who home school, and we have a good nearby school as well (we’re not that remote). I would like to speak to someone rwgarding your community and possibly visiting. My contact number is 0449576711.
where are you based? What is your address? We are in southwest New Mexico, and are not near any cities or towns. We’re in the northern part of Catron County. I’m sorry, but our address is given out only on a need-to-know basis. Please do read through the visitors information–I think that’ll answer your question. For utilities–we have none! We make our own electricity with wind and solar power. We do not have cable of any kind. We do have Internet via a satellite (which runs off that solar and wind power). We have our own well. Living costs are pretty much for food, and to cover things such as fuel for vehicles and for maintenance around the ranch. Please email us if you have more questions. I so love all of this. I want to live totally off grid. Leave all this nonsense behind. I hate a phone, i love farming, my meat and milk goats, meat rabbits. And anything else to self sustain my family. But would want some land. We have 4.5 acres now. But what you are doing is awesome. Oh and cant forget my chickens. Have alot of them. Hello. Do you think you will set-up other communities in other locations. For example, would this type of housing be sustainable in Washington state? There isn’t too much sun but a lot more water. Would it run the same way or would there have to be some tweaking? At this time we do not have plans for additional communities, but we’ll be happy to help you if you want to set up one or build your own house in Washington State. Much of what we do here would be applicable (Straw Bale houses do very well in the Pacific Northwest). Hello, I too am from Washington state, my family along with a few other people have bought some property in Eastern Washington where there isn’t much rain. Some of us are planning on cob houses, mine will start as a homemade yurt and end up as a circular straw bale, which will allow us to live in it while we’re completing the build. We’ve played around a little bit with light clay used in pallets. Light clay is where you dip your straw into a clay slip. You then stuff the light clay into a frame work. We used this with the bathroom walls to make 6″ interior walls since we didn’t want huge walls. Code in NM is to use 12″ to make an exterior wall for the insulation. The hard part with the light clay is that it dries HEAVY. So tipping up the pallets takes muscle. It works better to put the pallets in place and then stuff them with light clay and then plaster them. Our clay slip is clay (make sure you screen it first), into water until you have a “milk shake” consistency. Let us know if you need more information — you can email cielitolindoranch@gmail.com directly. I am most interested in visiting Narara in the cooler weather (possibly Autumn) in order to suss out the possibility of moving to Narara Eco Village. My friends Andrew Olivier and Verena Mclean are already on your books and plan to move to you. Also my daughter Kate Madden. Once I have sussed out the possibilities of a move I hope that can make a decision as to whether to place a deposit and plan my future years with you. It’s a most exciting project and I am most impressed. I built my mud brick home in Eltham Victoria many years ago but am needing to make a move from here before too long. I have another friend who is most interested and investigating her possibilities. It’s a matter (for her) of consulting with her 25yr old son and 34yr old daughter. These are big decisions to be making for us all of course. I looked at the web site last year and have been dreaming of Narara ever since but had to delay visiting then. I think you might have the wrong community…we’re not the Narara Eco Village. baby in Big Sur, Ca., 70 miles from town, goat and chickens and a good sized garden. We’d love to you you visit. Just let us know when you’ll be in New Mexico. love to build a container home in northern AZ. We can’t recommend any contractors who do container homes. The best thing would be to search online or join a local group that does sustainable work. I am very interested in the community. I am a proffesional chef and baker, a professor of music and am a young 65 ready to work for the good of a community in a sustainable, low stress financial situation. i have gardened extensively and lived all over the world in different situations. I am starting a new life and am very interested in the prospect. Hello, I am interested about learning how to acquire a container home. I don’t know where to begin. The first thing to do is figure out your budget, and if you want to build a container home or buy one already set up. Just like with any house, you’ll need land to build upon–or land to old the home. If building, you might want to work with an architect and/or a contractor–and it is good to have someone who knows building codes for your area. It’s possible to find both with “green” building experience. If you’re looking to buy an already made home, there are plenty of options–just start searches for “container homes.” You might want to visit a few, and also you will save on shipping costs if you buy local to the area where you plan to settle the container. It’s also a good idea to start making a list of your requirements. How many people will live it in? How much space do you need–how much space do you want to clean? What weather do you need to be ready to handle–snow, wind, rain? What will be your power source–are you going off the grid with solar and wind? All these play into your plans. But it all starts with plans and knowing what you want and need. What about dogs? I plan on finding an off the grid community very soon. I was planning on heading north but I’m having a very hard time finding a community online. My only delay is my dog. We welcome well behaved dogs on the ranch. Do be aware that we are in an area with coyotes and rattlesnakes, so it’s important that dogs be very well behaved (so they come when called and don’t try to mix it up with other critters). If you would like to visit, please email cielitolindoranch@gmail.com so we can see about arranging dates. Thanks. I have a a 17 foot self contained travel trailer I pull with my Toyota 4 Runner, but would love to build a Cobb house. What would be the cost if I lived in my travel trailer and worked in the community half of each day? My skills are Shiatsu Therapist, Piano teacher, veggie gardener, excellent vegetarian cook, know about building Rocket Mass Heaters and Cobb houses. I meditate, believe in The Law Of Attraction, am physically fit and enjoy bicycling, hiking, games of sport and board games, have 4 grown children, and 3 small grandchildren in Arizona. I also know a little bit about alot of other things and would love to share and learn in a community of like-minded people. The best thing to do would be to come for a visit. New Mexico is not for everyone. We can arrange a visit and you can see the ranch, and then we can take it from there. Summer is a great time to visit for a few days or a week. I am in the process of searching out a new way of life and came across your page. When I start my new journey, I will have a couple of dogs but I have my own smallish Class C RV. What is your policy regarding pets? We welcome well behaved pets. We have two barn cats and two ranch dogs here already. This is an open area, so you want to make sure your dogs won’t run off to chase cattle or coyotes, and will come when called. And that they’re up on all their shots. It’s a great place for dogs to have fun! How cold are winters in your area? Weather is highly variable in New Mexico–lows can be very low, but they generally don’t last long. We’ve had -9 on the ranch, but it’s dropped down to -36 with our “dip” (we generally get a half hour to an hour of very cold chill right before sunrise). Once the sun comes up, temps can go up into the 60’s in winter. Snow is usually around a few inches, but drifts can pile up higher–and most snow fall from any storm is gone within a week or two. The snow melts bring mud–but a good snow means great grass and flowers in spring. Jan and Feb are our coldest months, but we start getting snow usually in October. Please read our visitor guidelines on the website for more information. Also, it’s not a good idea to post your phone number online. You’re welcome to email us for more information or direct contact, but hold off on phone numbers. Do read our visitor guidelines. Also, keep in mind we are 100 miles from the nearest hospital. And we use a lot of technology–we’re not Amish. Technology such as solar and wind power–and the Internet–are very helpful to us. If you would like a tour, let us know when you’ll be in New Mexico and please read our visitor guidelines. Is it possible to live there part time, like half the year? We have no requirements on year-round occupancy. But we do ask all potential residents to come and visit to see if this area will suit them. Please do read our visitor guidelines posted on the website. Hello, have enjoyed reading your site so wanted to send a note. A supportive sustainable community working together speaks to my heart and very much would like to visit and speak with you all. I’m hard working and dedicated and welcome the opportunity to meet others willing to work together in a more simple way of being and living. May I come for a visit? We have a document on the website about visiting the ranch–Just click on the visiting item on the menu. We do recommend folks come out for a visit–winter is not the best time for this, so plan the visit for late spring through fall. We only have camping for guests right now. I didn’t come acrossit would never any literature about firearms/ defense Goodness willing it would never be an issue just the same what stance does your community take on such matters? Also I may have missed it but if not, are you a carnivorous group or purley alternative diet organization? We live in a hunting area, so we have no problems with having fire arms. However, everyone needs to use them responsibly. Also, this is beef country–it’s actually really tough not to have meat out here. We support local ranchers by buying local beef (and pig). But everyone is welcome to their own choices. I have a house in the uk that I will gladly sell to fund this project. I am a dog groomer (I have basic animal care) and I am a doula. My only concern is my 5 & 7 year old girls with regards to their education. I am not brave enough to home school them so would there be help in this area. Please send me info as I am ready to move tomorrow. There are local schools nearby–elemetary and high school–however, I have no idea as to the quality of schooling. A lot of parents nearby do home school. Since we don’t have kids here right now I’m not sure what else I can tell you. Hello – Would i be an acceptable candidate if I am living in the Uk ? and I’m single ? Of course! Let’s talk and see if this would be a good match for you. Sadly we don’t know anyone in the Prescott area who is building a similar community. Sorry! I’m a professional who is looking to become an active participant in creating successful and self sustaining community. I’ve found myself continuously talking myself out of this dream, because of how conditioned I am in believing that I cannot exist without being part of the “normal” system. I would like more information, about the locations of these communities. I know of others who are also ready to create a life worth living. I’m going to reach out to you via email today. I want to know if they are any properties available near London (United Kingdom) for off the grid living? We do not make outgoing calls. Please reach us via cielitolindoranch@gmail.com or by calling 575.322.4122. I currently live in Texas and have property in Minnesota, my birth state. Having traveled extensively as a 26 year military veteran I have a long time desire to participate in sustainable living. I sold my current place in Texas so will have nothing tying me down. Have receive my permaculture certificate, built elctric vehicles and lived in a self built geodesic. My skill sets in clude electronic, electrics, materials fabrication, carpentry, storage battery, biofuel manufacture and electric vehicles . I hope to apply to come by on a visit soon. Seems that your only receiving guests for four month out of the year. That’s going to limit my options. Why no visits during some of the remaining less severe winter times. Snow is not the big issue at the ranch–it is mud. We get a fairly mild winter, but the snows melt, leaving behind muddy roads and the ranch is off 11 miles of gravel/dirt road. If you don’t have the right vehicle, it can be difficult to navigate, and we’d just as soon make sure visitors can arrive safely. of roadbase. Whar specific vehicles do you recommend. Saw your donation page..may be able to hrlp with a few items? Any vehicle that handles dirt/gravel well is good here. So 4-wheel is best. Car or truck with good clearance. It all depends on if we have rain or not, and we have a little on the forecast.